More than 150 children from Tuhoe Kura gathered in Taneatua to learn about the skills and responsibilities of good leaders. Eastbay REAP House of Science was there challenging children, working in teams, to create an electrical circuit from the components provided. This task required teamwork, logical thinking and problem solving, communication and scientific understanding. The reward was the satisfaction and pleasure of getting an ear piercing buzzer to work, which most kids thought was “pretty choice”. 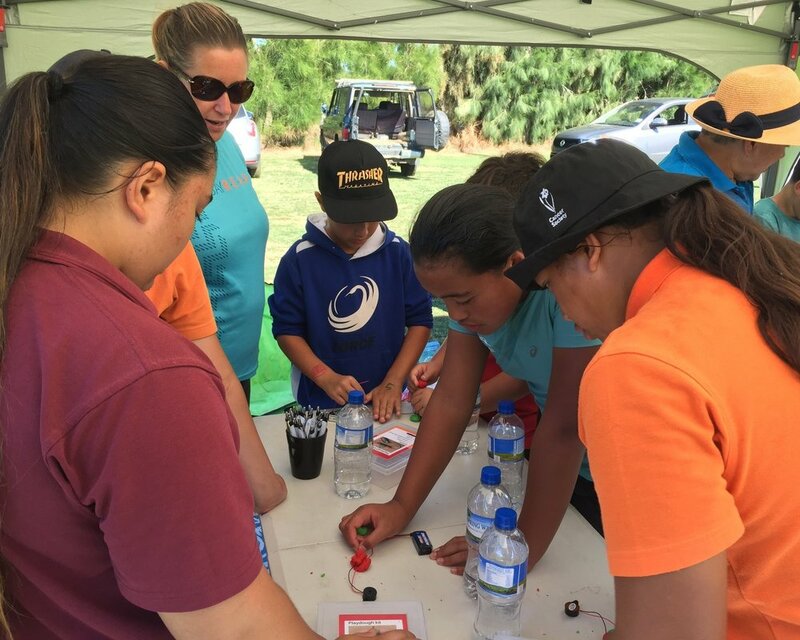 Tuhoe Hauora, Eastbay REAP, Te Puna Ora o Mataatua, the police and other services worked together to make Whakatau Whakaaro happen and Children from Tawera, Waimana, Ruatoki, Huiarau, Taneatua, Matahi kura attended. 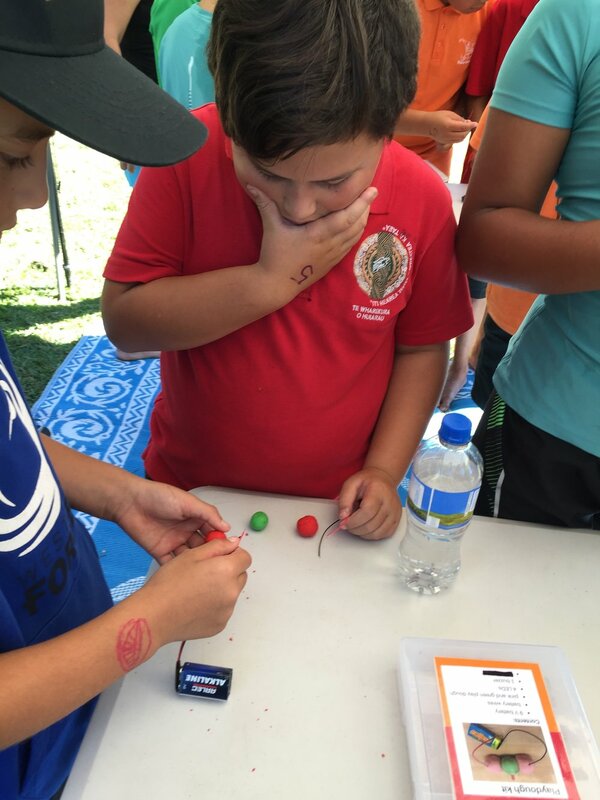 A lot of young people and a great deal of concentration went into building an electrical circuit and just for the buzz. Eastbay REAP House of Science is plugging a huge gap in our education system. A new report has exposed abysmal results in science for children finishing primary school. The National Monitoring Study of Student Assessment shows just one in five Year 8 children are reaching the expected level of achievement in science - the worst figure of any learning area in the curriculum. Chris Duggan, a former head of science at Tauranga Girls' College who started the non-profit ‘House of Science’ to lift primary school science teaching in 2014, said the study showed that New Zealanders were "losing scientific literacy". "We have known for years that primary school teachers are generally lacking the confidence and the resources to teach meaningful, hands-on science lessons," she said. "We are seeing teachers who would love to teach science but are finding it difficult in a crowded curriculum with a lack of resources. "This has huge implications for us as a country because people who lack basic science literacy make uninformed decision that impact themselves, their families, their communities, even our planet! As a country we end up paying the price of these bad decisions socially and economically. The House of Science is passionate about inspiring young New Zealanders' interest in science through tangible learning experiences. They are a not-for-profit providing quality science resources to schools and professional learning for teachers to promote positive engagement with science in all its forms. They rely on community grants and sponsors like the Wright Family Foundation to keep costs affordable for schools.